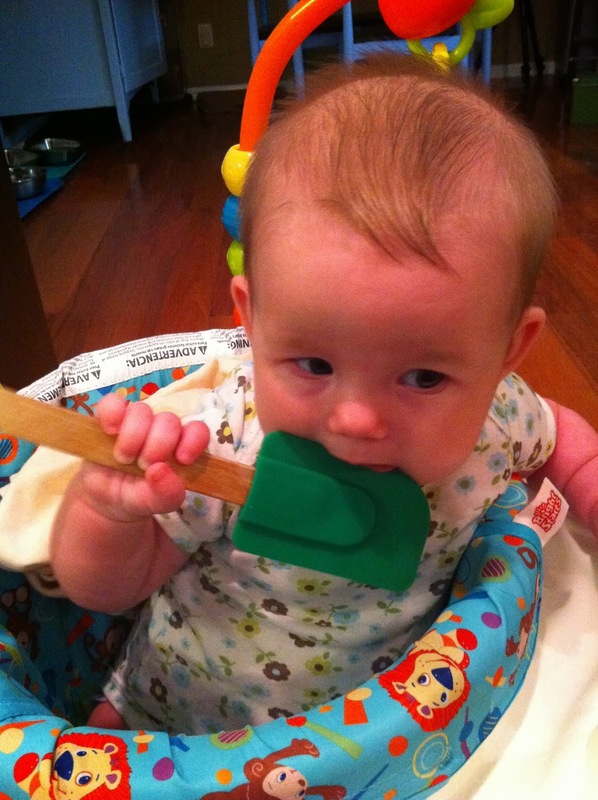 My daughter has always been an active participant in our kitchen. When she was a baby, I'd stick her in a bouncy seat and let her listen to cooking from a safe distance. 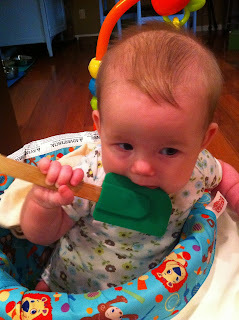 I'd share tools with her while I cooked as she grew. 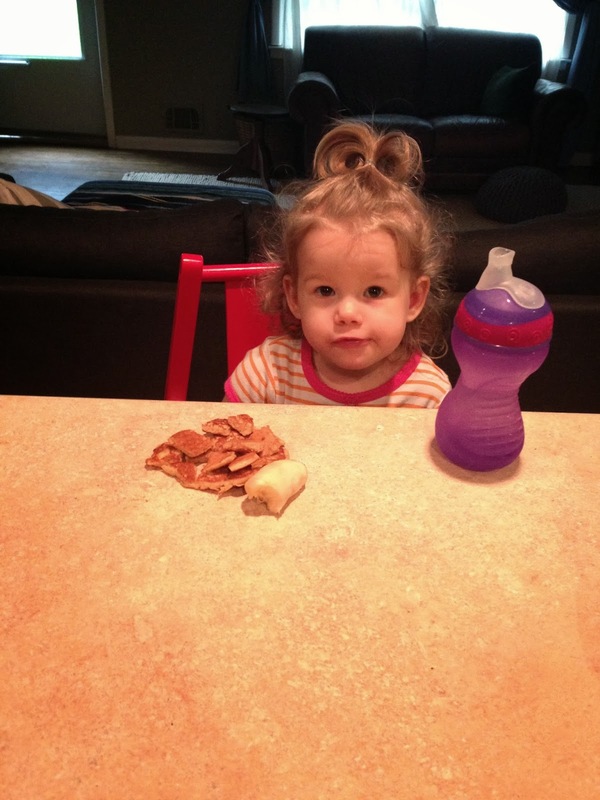 Later, I'd even pull her highchair up to a counter and let her watch and play while I cooked. We've recently entered ruthless toddler-hood and now she wants to "help" with everything! Cooking with toddlers improves fine motor skills. Later, they will learn math, reading, and organization skills through cooking! I say start 'em young and include them as much as possible - we've found our toddler is way more excited to eat things she helped cook. 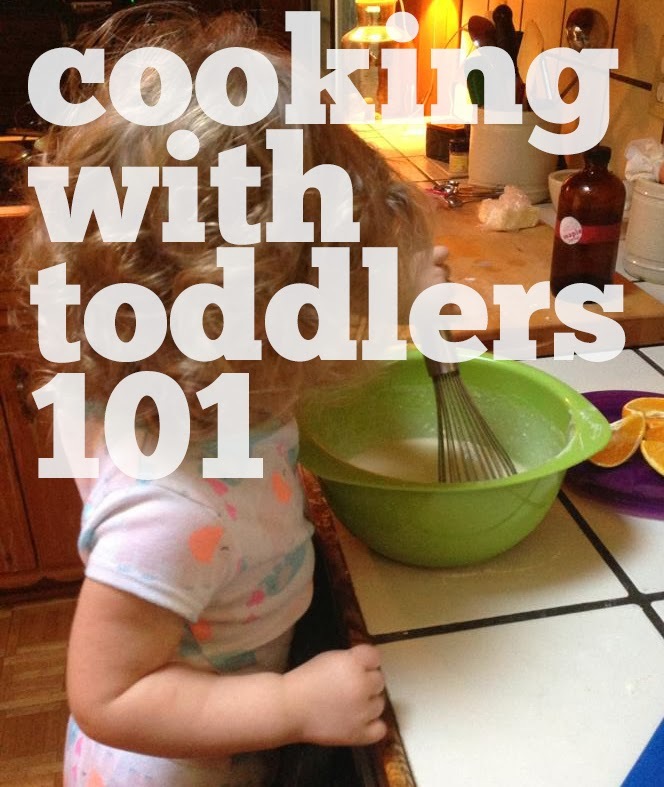 We've been navigating cooking with our toddler for about a month and have learned a lot! 1. Wash your hands! This is a great age to reinforce good hygiene habits. It should be the first thing you and your little one do when you start cooking. Set your child on a stool and let them play in the water a bit too. 2. Safety first: Make sure your toddler has a stable, non-slip step stool to work on. Keep knives, sharp tools, and hot pans out of reach. 3. Give them their own tools - Not all of your toddlers tools need to be kids sized, but by setting aside a drawer of safe, extra tools, you can give your toddler another place to play. Buy yourself some prep time by asking them to get their tools out every time you cook together. 4. Choose simple recipes: Pancakes, granola, quick breads, smoothies, and sandwiches are wonderful dishes to make with your toddler. I'll list a few of my favorite resources for other ideas at the end of this post. 5. Let them play with "real ingredients": Okay, so you might not want their grubby little hands all up in the granola you want to share or for them to knead the dinner biscuit dough into a rock. Give them a handful of oats or a small pinch of dough to go silly with - its great sensory play! 6. Practice cutting on fruit and cheese: These ingredients are soft and easy to cut - they are also safe to eat raw. 7. Use a bigger bowl for mixing than you really need unless you want to clean up a lot of pancake batter! Using an over sized bowl will give your toddler plenty of room to go stir-crazy. 8. Stop worrying about the mess! I know this one is easier said than done, but when I started thinking about cooking as a craft (like play with play-dough or painting) it was a lot easier to accept that there will be some clean up. The mess is half the fun for toddlers anyway! 9. Get them to do dishes! While your creation cooks, set your toddler up with a bowl of warm soapy water and have them "help" with clean up - its also a clever way to get their hands washed after cooking. 10. Wash, Rinse, Repeat: The more you cook with your toddler the better both of you will become at it. Repetition helps toddlers with retention - so try to make at least one day a week your special cooking together day. Maybe make Sunday morning pancakes or institute Friday family pizza night. 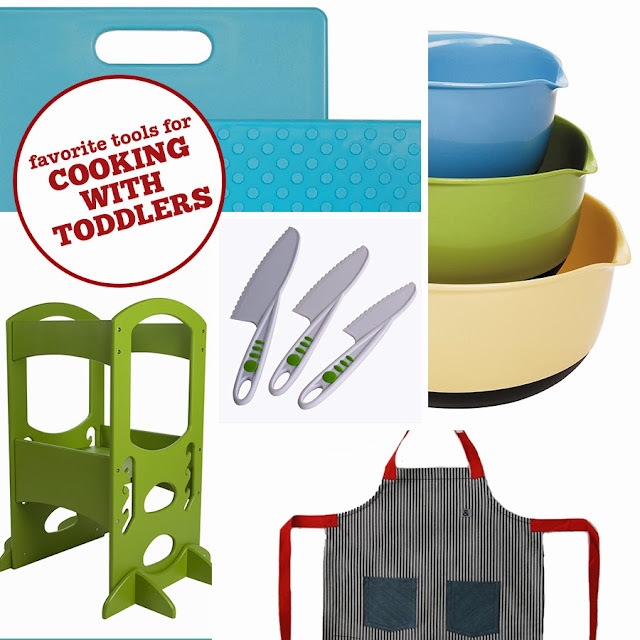 Having some toddler specific tools certainly adds to the fun (and safety) of cooking with your little ones. Like I said not all of your toddler's tools need to be kid specific! Clock wise from top right: These Architec The Gripper Cutting Boards are built for adults but their extra grippy backing and fun colors make them wonderful for kids. I love this OXO Good Grips 3-Piece Mixing Bowl Set - large, slip resistant, and unbreakable. Okay, this kid sized Hedley and Bennet Apron is just darling! We love this Little Partners Learning Tower , try searching your local craigslist for a used one if a new one is out of your budget. Curious Chef Nylon Knifes (center) are designed for little hands and perfect for practicing their chop. When did you start cooking with your parents? How do you handle your kids in the kitchen? And what are your favorite recipes to cook with them? I'd love to hear! PS These are two of my favorite recipe resources Cooking with My Kid and Weelicious! This post contains affiliate links, Stir and Scribble was not paid or perked for featuring these products - we just love 'em! It will be here before you know it! You're really going to love it. Perhaps someday we will see you on TV slicing and dicing your way to fame.